Yet again, idiotic pop star Kanye West did something stupid last week, but what are the four most stupid things he’s ever done? Luxe Models investigates! What is it about celebrities, which make them think that they can get away with doing stuff the rest of us would never dream of? It seems like every week, you open up your favourite gossip rag and find a new celebrity incident of a famous person well and truly stepping in it. Kanye West is a particular offender. 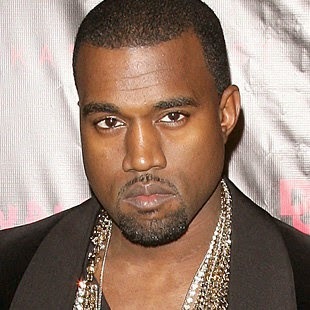 Admittedly, we do love us some Kanye here at Luxe Models. He really is a talented pop star, and he has a wicked fashion sense. However, sometimes it’s really hard to appreciate his awesome threads when he’s just so annoyingly arrogant! In Luxe Models Opinion, These Are the Four Stupidest Kanye Moves Ever! So admittedly, Kanye has done some pretty stupid things, but of course, some were monumentally more stupid than others. Since Luxe Models knows your dying to know, we thought we’d list the four most controversial thing he’s ever done! 1) ‘That’ VMA’s Incident: The winner has to be ‘that’ VMA’s incident, where Mr West interrupted Taylor Swift in the middle of an acceptance speech, to say Beyoncé should have won the prize instead. Who even does that? We can only assume he’d had a few many at the bar that night. 2) It Should Have Been Me: Why is it always awards ceremonies? Back in 2006, Kanye failed to win the Best Video gong at the MTV Europe Music Awards for ‘Touch the Sky.’ He then proceeded to go on stage, and say why he should have won. No one likes a sore loser Kanye! 3) Starting a Fight with Annie Leibovitz: Kanye and Kim originally secured celebrated photographer Annie Leibovitz to take snaps at their wedding. Supposedly. She bailed. We get that you’re angry Kanye, but it’s never a good idea to do what you did next. What did he do, he ranted about it. That prompted Leibovitz to respond and say she was never confirmed, and once again, it made the self-professed king of music look like a total plonker. 4) I’m Smarter than Britney Spears: Just last week, Kanye did one of the stupidest things of his career by comparing his intelligence to Britney Spears. According to Digital Spy he said "I'm the smartest celebrity you've ever f**king dealt with," and that "I'm not Britney Spears.” Seriously Kanye, did you think this would win you any points? Oh, Kanye, Kanye, Kanye. What are you like eh? One thing we can say though. When Kanye does something this stupid, it is hard to love his killer sense of fashion but it does provide great reading material though! For more from the luxurious world of fashion and gossip be sure to stay in touch with Luxe Models.